We'll never annex Canada as to do so would require us to give citizenship to millions of French speakers. As a Canadian, this kind of stuff continues to shock me. You and me both. Except the Canadian bit. Tagged so I can post pictures of my silly purchases once I'm done travelling and am back home in Singapore..
My silly purchase this month was $200 worth of frames and matting for three prints that totaled $50 after shipping. Hm. I noticed this as well. I went to Michaels (a Canadian craft chain of stores with a custom framing dept.) I paid about $150 each to have two of my professional certificates framed and matted. For the third one I bought the $35 precut one and a frame for about $30. I can't tell the difference (much). My fourth certificate will be done the latter way. Courtesy of the recent woot sale..
Oooohhhh. Let me know how that works for ya, been interested in that mouse for a while. Ooh, how much? I need more buttons. And does it come in red? EDIT: damn 70-80 bucks. Hurry up people enable. Also, spill a coke on my Diamondback. OK, I finally got around to spending some time with this. My opinion is mixed. I've been using a Habu (which is a Razer mouse with a Microsoft logo on it) for a while now but wanted a few more buttons. The Naga is surprisingly smaller than the Habu and almost felt too small when I started using it. The buttons on the side take some getting used to. They sit just below the joint in my thumb for me and it took awhile before I could hit one without hitting the ones next to it as well (and I still find myself looking down to see what I am hitting). There are two more buttons on the left side at the front top (next to the left mouse button) but they are a bit awkwardly placed and there doesn't seem to be a really good way to hit them. To compare to the Habu again, the Habu has two side buttons but it has a swappable modules that let me adjust where those buttons are; this doesn't. All of the buttons are mappable of course and there are two sets of mappings available (selected via a switch on the bottom of the mouse). I think these are normally for switching between Numpad/Function key mappings but am not sure. One annoyance I have is that the Razer logo on the face of the mouse slowly pulses on and off. I haven't found a way to disable this yet. The reason for a couple of the "I don't knows" in this is that I got the mouse from Woot! (KingGorilla, I paid $49 for it.) It's a refurbished unit and all I got was the mouse itself. No manual, no software, nothing. I downloaded the driver and configuration software from Razer's site but haven't tracked down the manual yet. The Razer site has a special driver for WoW that directly maps your hotbar to the side buttons, which does help. Overall I think it was worth it; I can now use it and my Nostromo pad and play every game I have tried it on without moving my hands from either to touch the keyboard. It's just going to take a while to get used to the tiny buttons, I think. We've got Michael's here. Not sure if it's the same, but it is a craft store that also has a framing department in some locations. Anyway, I think frames are going to be expensive if you need them custom cut for specific sizes, but for standard stuff, you can probably find basic wooden frames and cut the matte yourself which would require buying matte and a matte cutter, but for that ridiculous cost, it might be worth it. I bet you could even go one further and purchase some molding at a hardware store, paint it black and create your own frame for about $20. I do find it fairly offensive that universities charge so much for diploma frames and then starry eyed parents go out and buy them for so much. My girlfriend's family did this and they don't have much money. She has yet to actually put the diploma in the frame or hang it anywhere. Yeah, a lot of the cost of frames and matting comes from having weirdly-sized prints. For something standard like certificates of graduation and the like you can get off-the-shelf stuff just fine but for whatever reason the prints I like come in strange non-standard sizes. Enabled. 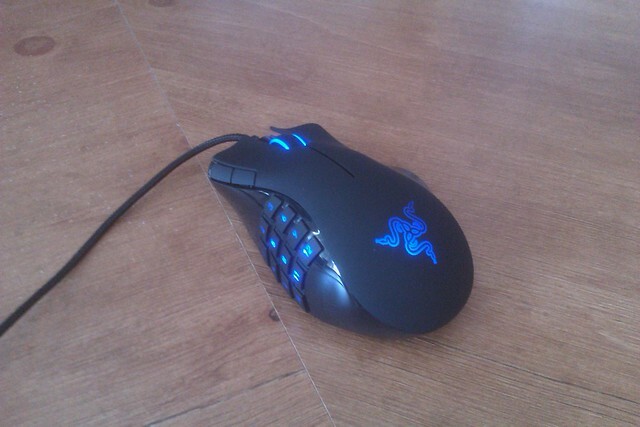 Anyone want to buy a heavily used, but still good Razer Diamondback 3g? I need to get bike parts so, I need to ameliorate costs. It is south paw friendly-made me a better RTS player. I just picked up a nice Razer mouse, too -- I went in to get a nice affordable (corded, infrared) Deathadder, and ended up walking out with the (cordless, laser) Mamba. It just looked so nice there in what I thought was a display case; turns out, it's the actual box! I love you more than rainbows. What mouse were you using before the Mamba? I'd be interested in what you think of its size. I've wanted a bigger mouse than my G500 for a while, but have yet to find one that was both bigger and matched the G500's features. Currently the thought of them is terrifying family & friends. Oh Koggers, how could you!?!?!?! Why would you need four of them? My guess would be.... LAN party? Otherwise I have no idea. They were on amazon for $9.99CAD and they have $10USD worth of RP's and a load of characters... makes great gifts for friends who play the game. This is half-way through my wife's and my second game, once we felt we had a handle on the rules (first game: "Oh we haven't been picking up treasure cards—no wonder it's been so hard!"). Sorry Descent, but I think we just need some time apart. Ashardalon respects my time, and won't take up a whole evening and part way into the morning for a dungeon bash. And her rules are so clear, I never have to try to read her mind. I still love you and your fatigue mechanic, I didn't buy you those expansions for nothing you know. I think this will make our relationship stronger, in the long run. I just have to find myself [size=6]a faster, lighter dungeon crawler[/size]. I can't stand things between my toes, I'm sure one would adjust, but the thought makes me shudder. I've been wanting to get Ravenloft for quite a while, but I was afraid that the "horror" setting would be too much of a turnoff for my daughters. Ashardalon looks like it might sidestep that issue neatly, and based on some of the comments on BGG, it looks like Ashardalon has fixed some of Ravenloft's problems. My question, therefore, is: Is there any reason for me to get Ravenloft at this point, or can we safely dive straight into Ashardalon? I've got both, partly because I've got more dollars than sense, but also because I can mix the components, for big things like creating giant, unique scenarios, to little things like having more characters to choose from. I'm also toying with the idea of running a D&D4e campaign for my friends at some point down the road, and I can use all of this. Awesome! That's exactly the answer I had hoped (and expected) to get. Ashardalon, here we come! And I imagine we'll be able to hold out until the fall even if we love this one, because Drizzt is way cooler than Ravenloft. It looks like I'm too late, but you're already convinced. I waited for Ashardalon for the same reason, I wasn't into the horror theme of CR and I knew a meat-and-potatoes fantasy flavour was coming later. I mean, it's Dungeons & Dragons, not Dungeons & Dracoliches or whatever poor dragon substitute is in CR. It looks like I'm too late, but you're already convinced. Yeah, I'm easy to enable. 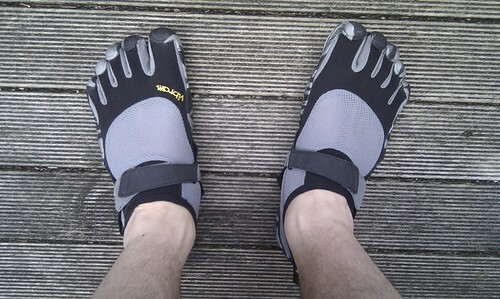 The toe-spacer feeling is weird, but they are super comfortable despite that. I must ask: do you find many people aside from family and friends that dislike them? I know that when I wear mine, I get one of two reactions, "whoa those are cool" or "those are the strangest or most hideous things ever." They're... a point of conversation for sure. Been wanting to get my hands on a copy of this book for YEARS. So excited!